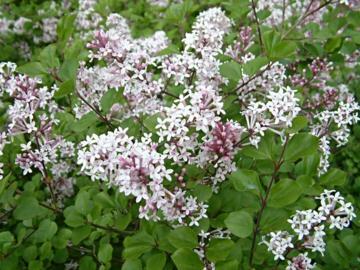 Slow-growing, compact, rounded shrub with oval leaves and small, dense panicles of fragrant, lavender-pink flowers in late spring and early summer. Non-suckering. Moist, well drained, fertile soil in a sunny position. Tolerates some shade.